Assembling a collection of very prominent researchers in the field, the Handbook of Spatial Statistics presents a comprehensive treatment of both classical and state-of-the-art aspects of this maturing area. It takes a unified, integrated approach to the material, providing cross-references among chapters. The handbook begins with a historical introduction detailing the evolution of the field. It then focuses on the three main branches of spatial statistics: continuous spatial variation (point referenced data); discrete spatial variation, including lattice and areal unit data; and spatial point patterns. The book also contains a section on space–time work as well as a section on important topics that build upon earlier chapters. By collecting the major work in the field in one source, along with including an extensive bibliography, this handbook will assist future research efforts. It deftly balances theory and application, strongly emphasizes modeling, and introduces many real data analysis examples. I very strongly recommend this book for anyone working in spatial statistics at any level. The writing styles are all concise, informative, and even somewhat entertaining given the topic constraints. The editors have done a masterful job of organization and chapter authorship selection. 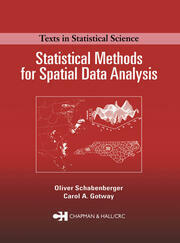 … a good starting point for entering each subarea of spatial statistics. … it can serve as a textbook at a graduate level for statistics majors … Handbook of Spatial Statistics is well edited and covers a wide range of topics, providing a very useful reference book for spatial statistics. … each chapter is concisely written to the point of having no extraneous text but without resorting to overly terse discussion. … the layout and content [are] easily accessible for a variety of usage patterns. … the extensive bibliography provides ample direction for extra, more detailed reading. 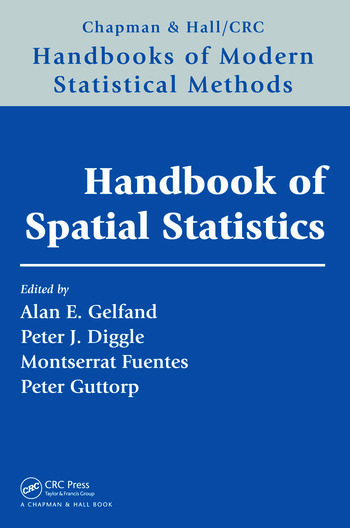 This Handbook is an excellent and clearly written first stop for any questions or queries one may have about spatial statistics. I wish I had owned this book years ago. This book is certainly bound to become an influential classic in the field of spatial statistics. … reading it surpassed the expectations. It is a comprehensive piece of work that summarizes current state of the developments of the spatial statistics in its multitude. The range of topics covered is impressive … useful and enlightening for a wide scope of readers — from beginners to rather specialized researchers … Readers with an ISCB background will benefit from reading this book in many ways. … this book really sets the standard for modern spatial statistics as a field for years to come. Anybody even mildly interested in the theory or applications of various parts of spatial statistics should read it, or even better, to have it handy as an authoritative and remarkably useful reference. 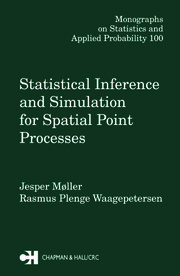 … the chapters have a very good scientific quality … the reading [is] rather easy and pleasant … the book thoroughly covers the field of spatial statistics and deserves its name of ‘handbook.’ It will be useful to specialists of spatial statistics as a reference book, and also to those who wish to learn the methods used in this field.